The U.S. Department of Energy, MIT Energy Initiative (MITEI), Stanford Precourt Institute for Energy, and Texas A&M Energy Institute collaborate to implement the U.S. Clean Energy Education and Empowerment (C3E) Initiative. Closing the gender gap and increasing the participation, leadership, and success of women in clean energy fields are the goals of the U.S. C3E Initiative. The U.S. C3E Awards recognize mid-career women who have demonstrated outstanding leadership and accomplishments in clean energy. The awards, underwritten by MITEI, Stanford Precourt Institute for Energy, and Texas A&M Energy Institute, are made in specific categories at the annual symposium. Each awardee receives a cash gift of $8,000 to further the goals of the U.S. C3E Initiative. A lifetime achievement award winner is also recognized for a career of distinguished accomplishments. The U.S. C3E Ambassadors are a group of more than 40 distinguished senior professionals who represent the U.S. C3E Initiative at public forums and work to strengthen the recruitment, retention, and advancement of highly qualified women in the energy field. Ambassadors select the annual U.S. C3E Award winners and serve as advisors for the U.S. C3E Awards program and other aspects of the initiative. The U.S. C3E Program’s social media presence provides women from around the world who are working in clean energy fields with information, insight, inspiration, and an opportunity to engage with peers and mentors. In this community, you can network and support others; share opportunities; find inspiration; and receive updates about the C3E Awards. In 2010, thirty distinguished women and men, three energy ministers, and eight governments launched the Clean Energy Education & Empowerment (C3E) women’s initiative at the first Clean Energy Ministerial (CEM) to advance women’s participation in the clean energy sector. The U.S. Department of Energy and the MIT Energy Initiative collaborated on the initiative and the first four years of the C3E Symposium and Awards from 2012-2015, with Stanford University’s Precourt Institute for Energy joining the collaboration in 2015. Texas A&M’s Energy Institute joined in 2018, and the host institution of the symposium and awards now rotates among the three universities. The establishment of the C3E Technology Collaboration Program (TCP) was announced in June 2017 during the 8th CEM meeting. The International Energy Agency provides organizational and analytical support of the C3E TCP. 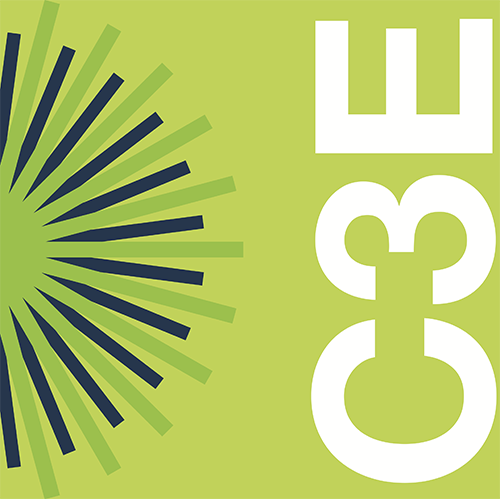 The U.S. C3E Awards were undertaken under the banner of the international C3E initiative through 2016. In 2017, the U.S. C3E Awards became a domestic program. For more information about the international C3E Program, please visit:https://www.iea.org/tcp/cross-cutting/c3e/. The U.S. C3E 5th Anniversary Book, published in 2016, was created to celebrate the program’s first five years of progress and to inspire current and future generations of leaders to pursue careers in clean energy. The book features a collection of personal narratives and quotes from the C3E Awardees, Lifetime Achievement Honorees, and Ambassadors. They share their motivations for pursuing clean energy careers, highlighting the challenges and successes encountered along the way and provide advice for young professionals. These rising and established leaders are having an impact across clean energy fields: creating breakthroughs in science and technology, forging pathways to shape demand, increasing energy access in underserved communities, building and expanding markets, and preparing the workforce for today and tomorrow.